Dr. Wynn graduated Phi Beta Kappa with a bachelor of science degree in biology from The State University of New York Binghamton. He received his medical degree from Pennsylvania State University College of Medicine at Hershey. Dr. Wynn completed his internship and residency at The State University of New York in Syracuse at the Upstate Medical Center. He went on to do a clinical fellowship in cardiology at Albert Einstein College of Medicine. He is board certified in internal medicine and cardiovascular disease and is a Fellow, American College of Cardiology. 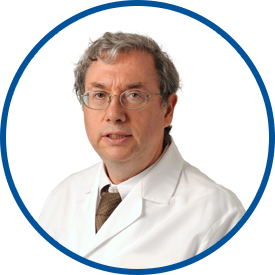 Dr. Wynn is affiliated with White Plains Hospital, where he is chief emeritus of the division of cardiology, and Greenwich Hospital. He is married and has three children. Dr Wynn is an excellent Physician! I never had a primary physician before Dr. Wynn and was wary about seeing doctors in general. Since I met and began seeing Dr. Wynn, I am comfortable and unstressed when I have appointments. I have been w/&Wynn for 20 yrs. ; great doctor. 3 family members see *Dr. Wynn due to my recommendation. I've been a patient of *Dr. Wynn for 25 years. He's saved my life more than once! Dr. Wynn has been my Dr. for over 30 years & I trust my life with him! He is thorough, compassionate & Always listens & is truly an asset to West Med!!!! *Dr. Wynn is not only a thoughtful & caring doctor as a friend he is tops. Dr. Wynn is by far the best cardiologist I've ever had! Dr Wynn has been my primary doctor for over 20-years. I trust him. Always a good experience. My needs and concerns are always met in detail with genuine concern and understanding for which I am most grateful. Dr. Wynn has been my doctor for many years now and is always concerned about me and my health conditions which are many. He is very patient and will always listen to my concerns. He is truly interested in me as a patient as well as a person. I will continue to have great faith in him as a doctor. I have great confidence in Dr. Wynn and have been a loyal patient for 17 years.I especially appreciate his promptness in communicating with me after any tests.